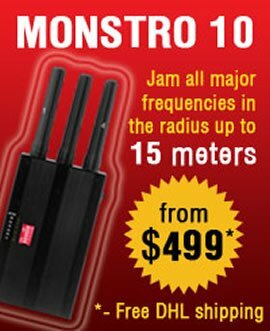 Jammer Store Company is a leader of the radio frequencies blocking equipment industry. The quality of all our products is the top priority for us because we are not just dealing those electronic devices but manufacture them. Our devices are meant to satisfy the needs of our customers in the most effective and reliable way and that is why we are constantly improving our products and services. To make sure that you will get effectively working quality product we perform many different tests with our devices. To get the product you like, you need to make a payment first. The next day after the payment your device will be shipped to you. It takes from 4 to 6 days for your package to reach you, depending on what country you are in. All our shipments are done with DHL – the most reliable delivery operator of the global level. DHL provides not only delivery of your orders in time and undamaged but also has a useful feature of tracking number that you can use to watch the movement of your device via internet. As a rule, we are sending that tracking number to you right after the start of your order shipping. For you our DHL shipping is always free, no matter it will be local or international delivery. As an additional free service we mark all our shipments with low price tags to avoid any fees at the customs. For your absolute convenience in our services we also provide a one year warranty on all our products. Such long warranty period is new to the industry and we are proud to be the first company that provides it. If there are any reasons which make you unsatisfied with the product you get – contact us and we will solve the issue, either replacing your device with just the same or making a refund. You can get a refund within 14 days from the moment of your order delivery. Add this to one year warranty and you will see that you can be totally confident in our shipping and returns reliability. HS5000 is one of the more advanced and outstanding video scanning systems in the world. It can scan and detect all wireless cameras working on frequencies of 900 - 1300 MHz, 2300 - 2600 MHz and 5600 - 6040 MHz. This unit will scan all frequencies synchronically within 95 seconds and detect the signals of all wireless cameras in the radius of 150 meters and display the video & audio from them on the 4 in. LCD display. 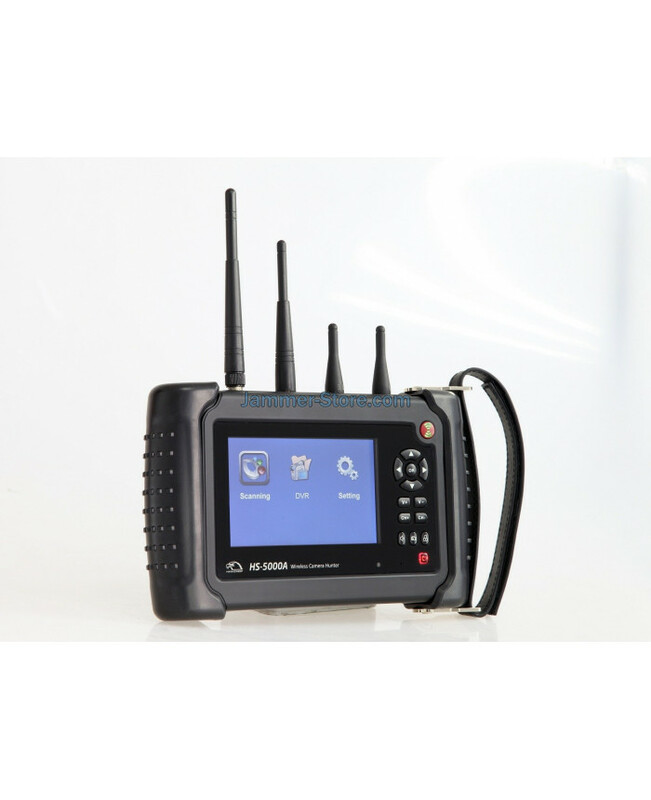 HS5000 is able to indicate all wireless cameras working on NTSC/PAL/SECAM video broadcast standards. The spy cam detector also has AV output so all video & audio can be recorded on the hard drive. 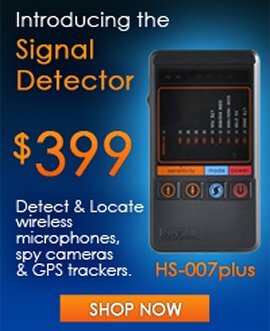 It might help to prevent crime activities, analyze criminals behavior etc. "Your work is important, thanks for helping protect people from the tyranical exploitation of advanced technolgy." 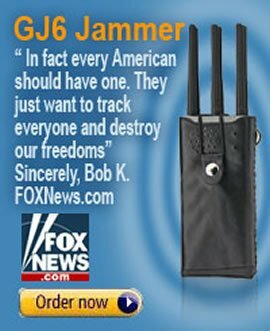 "Jammer-Store.com is the only company on the market which provides you with the full protection against any kind of GPS or GSM tracking." "The #1 company on the market which help you protect your personal privacy." "Now the kids can't figure out why their phones don't work, but can't ask because they will get in trouble! It's fun to watch them try to get a signal."